Tutorial to remove sidebar from pages or posts in your WordPress website! 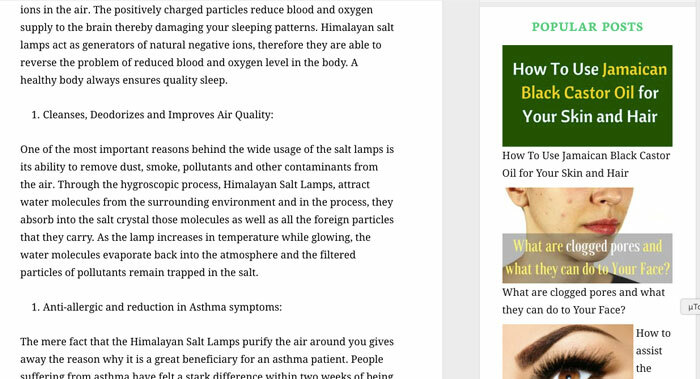 Content – Sidebar, or Sidebar – Content – These are the two common layouts you’d see in most websites. Not all website have a sidebar though and the reasons are quite varied. Having a sidebar is definitely useful, I must say. Depending upon the nature of your business and blog, you shall showcase some of your best content, promote your products, run direct or third party ads and so on. However, it is quite true that not all websites need a sidebar – in fact most websites don’t make the best use of a sidebar and simply keep one as a result of “convention”. And that is wasted space. Precious space. If you don’t really make good use of your sidebar and if you just keep it for the sake of keeping one, it is better to remove it. 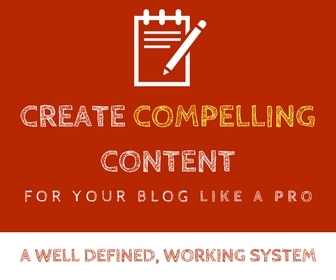 That way you could give your content the much needed attention. Right so let’s dive in to the how to bit. 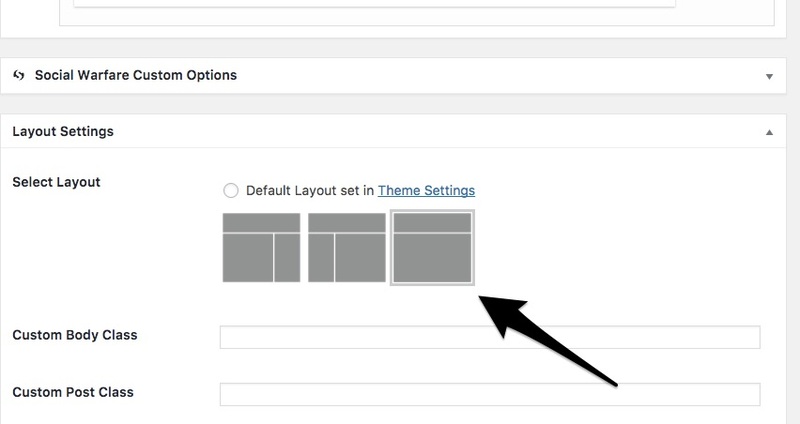 How to remove the sidebar in WordPress using theme options? Now, this highly depends on your theme. 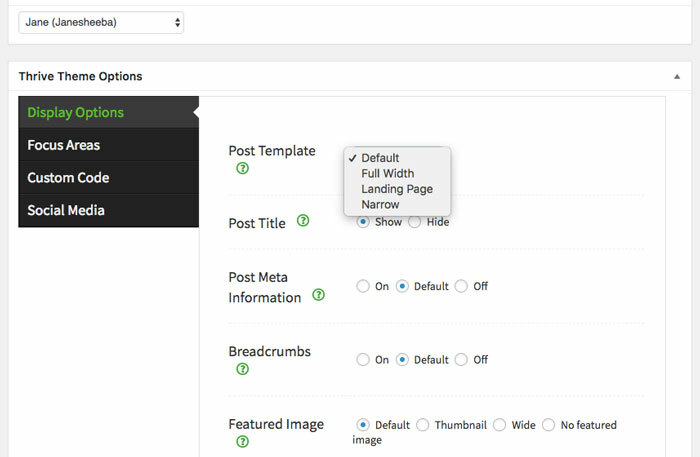 Most themes have an option to choose the “no sidebar” option on content layout, almost for every post or page. 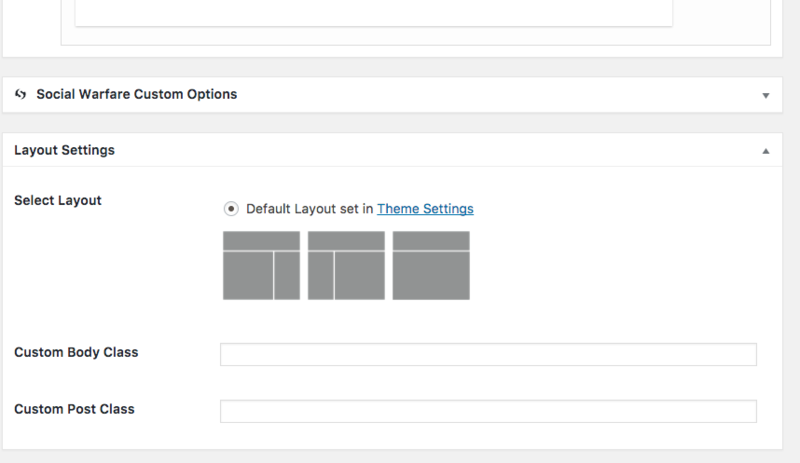 For instance, in any of the child themes of Genesis framework, you can see the layout options as shown below. From this I can choose to have the sidebar to the left or right of the content or can have the sidebar turned OFF for that page. Now, if I choose the third option in the layout settings, that will remove the sidebar. With this option, you can see how the post looks without the sidebar. If we take the example of another premium theme like Thrive theme, you don’t have it straight forward. You have a few options to change the layout, but no options to remove the sidebar. So if your theme doesn’t support easy removal of sidebar you have to do it the other way around. Now you’d want to remove a piece of code from the template file(s) of your site to have the sidebar removed. Depending upon where you want the sidebar removed, you would have to open that appropriate file. 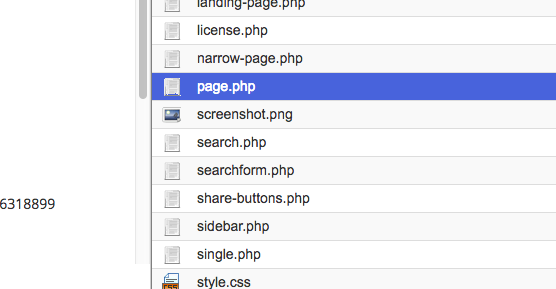 For instance if you want the sidebar removed from the pages, you need to identify the page.php file in your themes folder. For this login to your cPanel, go to File Manager. 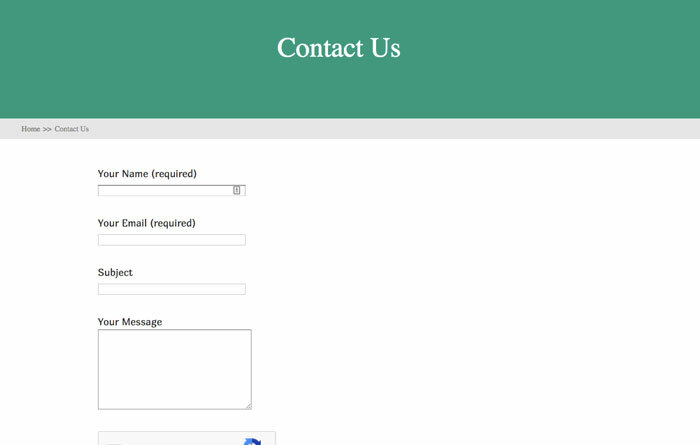 Then depending upon your theme, your page.php file will be located somewhere in your theme folder. In my case (using Thrive theme), I located it here: public_html > wp_content > themes > squared. Here the sidebar is removed, but the content stays to the left, leaving the sidebar’s place empty. And that might not look good on all cases. This happens because your theme has set a specific width for your content and sidebar, so the content stays within that width even if the sidebar is removed. So you need to change the width of the content wrapper (that’s the ID that’s commonly used). Use Inspect Element in your browser (Firefox, and Chrome have that option) and find out the exact ID name. Once you identify that, you need to manually specify the wrapper width. Before changing the css in your theme file, you can change the width in the Inspect Element frame to do a live preview and check what you are doing is right. If you are able to identify the ID, you just need to edit the current CSS of your file and change the content width in the appropriate file (depending upon on which pages you want the sidebar removed). And you need to change the width to the right number that you found by playing around using Inspect Element. At one point you start to think, if you had the Full Width template available for every page, your life would be easier, right? 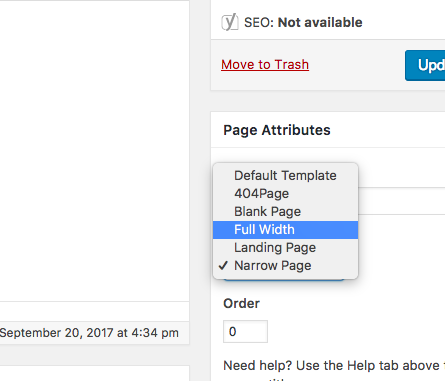 If such an option is not available, you could simply create a Full Width template yourself. This way, you can simply choose to have that option in only selected pages/posts rather than changing the code for ALL pages or posts. How to manually create a Full Width template? Simply open up a notepad or a plain text editor in your computer. Copy the code below and paste it in the text file that you newly opened, and save it. Now, access your page.php file and find <?php get_header(); ?>. Copy everything you see below this line. Now upload this full-width-template.php file to your theme folder (into the particular folder of the theme that is active right now). Now if you edit any page/post you will find the Full Width Template option on the right under “Page Attributes”. By the way, if you don’t want to get your hands dirty on editing the code or playing with your theme, no worries! 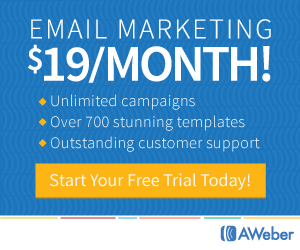 Just contact us so we can do this for you. I think that it’s not a good idea to remove Sidebar in our blogs. But for who doesn’t want it, is a great tutorial for them. 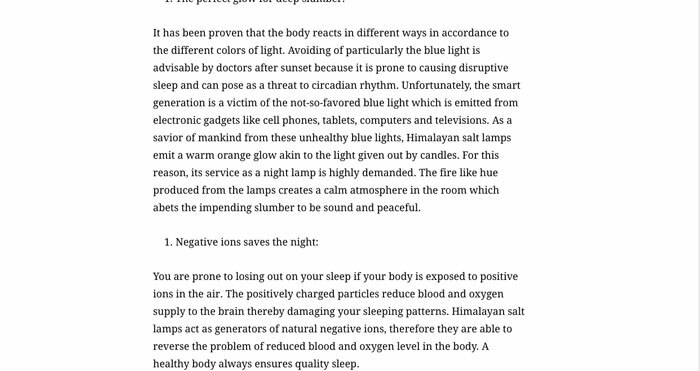 WordPress website needs a sidebar maybe not at all website need it but I think WordPress needs it. Maybe this blog will be specifically related to the one who is volunteering to look for the removal of the side bar in WordPress site. Anyway thanks fir sharing. 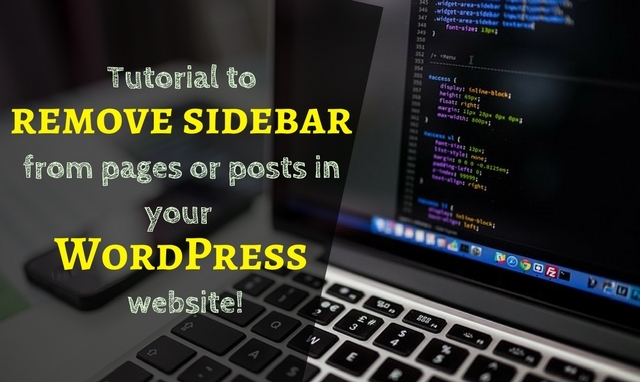 This is a helpful guide for removing sidebar from wordpress blogs but I think sidebar is one of the best way to engage users on our blog. It will help our site readers to browse popular posts on our website. But It may be ideal for those who want a single layout theme. Thanks and Keep sharing great ideas like this.